Tax season is almost over and many accounting firms are ready to close their doors until next year, but not us! That’s right, we are a year-round firm, providing more than just your typical tax preparation services. With the season coming to a close, let’s reflect on how it has been. With the passing of the TCJA, preparers got to grabble with the biggest changes to tax laws in the past two decades. The TCJA made about 500 changes to the Internal Revenue Code. That may already seem like a lot, but according to Brian Peccarelli, co-chief operating officer of Thomson Reuters, those changes trickled down and caused many states/cities to adjust their local tax laws as well. The TCJA passed in 2017, so we had some time to prepare (not really). Most of the finalized federal forms from the IRS weren’t released until the end of 2018. 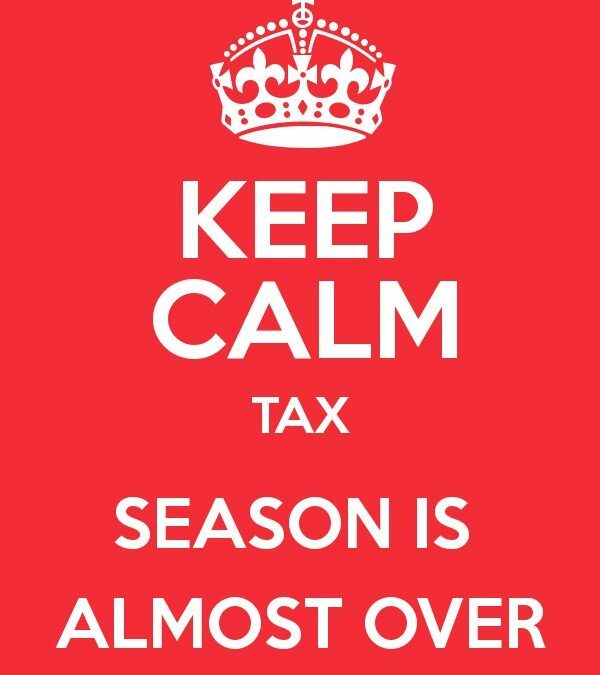 We hope everyone had a good tax season, although it isn’t over yet for those with extensions! Photo courtesy of Keep Calm and Posters. Brian Peccarelli dives deeper into the changes from the TCJA.